Place each rack into zip lock bags; one rack per bag laying flat. 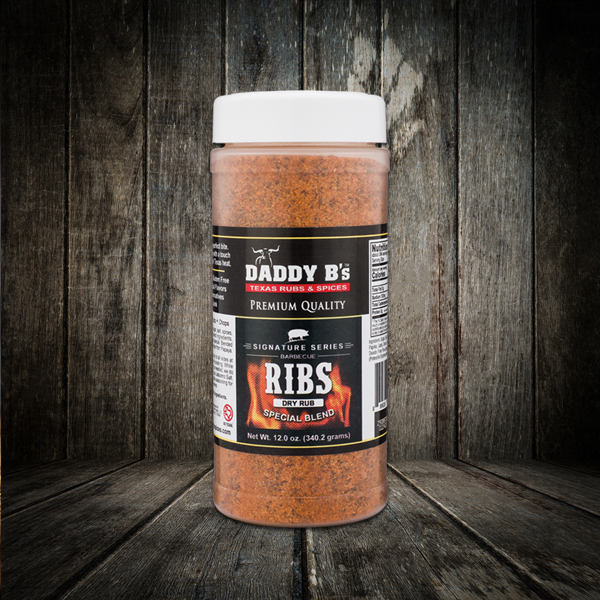 Cover both sides of ribs with Daddy B’s Signature Rib Rub, don’t be concerned if the rub doesn’t sit right on the meat. 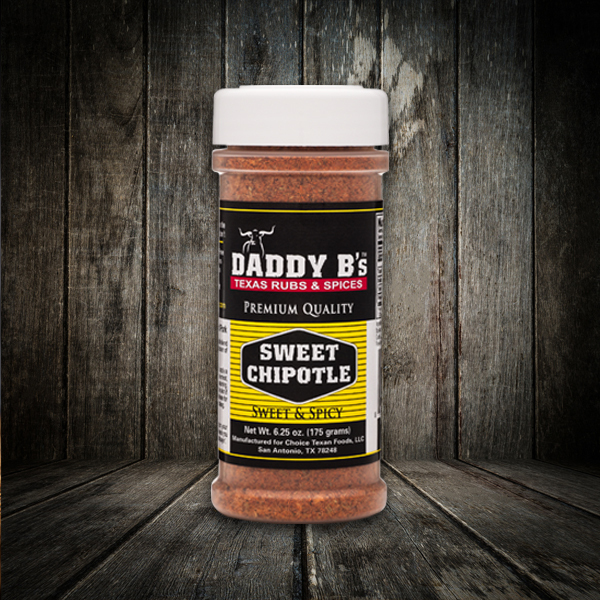 Come over the top with Daddy B’s Sweet Chipotle. Heat smoker to 300 degrees. 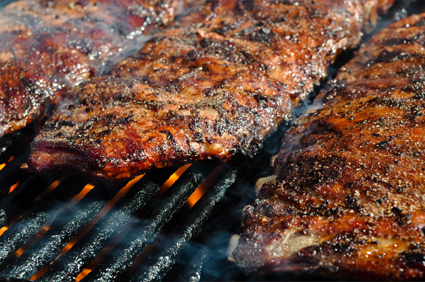 Place ribs in smoker and adjust temperature down to 250 degrees. Cook ribs for 2 hours, then check ribs and lightly spray top side with basting spray, lightly sauce and/or add brown sugar to top then spray again with basting spray. Cook for 15 minutes more. After 15 minutes, wrap each rack in foil meat side up and spray both sides with basting spray, ensure some liquid is in the bottom, wrap tightly and cook another hour and a half to two hours. If done, turn heat down. In a bowl mix butter, honey and BBQ sauce for glaze; unwrap the ribs and apply the glaze.